Salesforce CRM is an American cloud-based software company that provides a Customer Relationship Management (CRM) application and the ability to build or buy other applications to connect on the Salesforce platform. Salesforce gives you the ability to easily extend your CRM with apps that business and IT can create together. 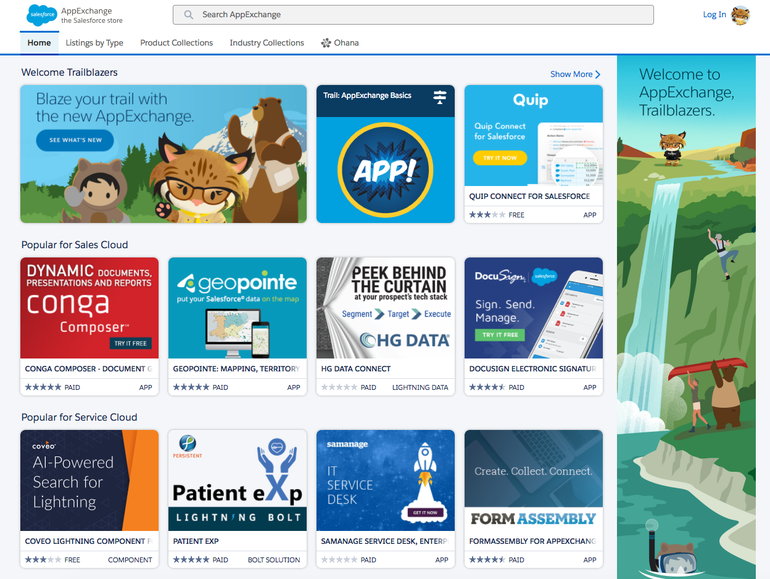 Whether you build apps from the Salesforce Lightning App Builder or Purchase Apps from Salesforce’s AppExchange, Salesforce gives you the ability to create a platform that will meet your business needs. I want to give an analogy that we can all relate to – Salesforce is like your smartphone. Just like on your smartphone – you can download apps to meet specific needs. This is exactly how Salesforce has dominated the market and helped businesses of all industries grow. Here are 7 reasons on why Salesforce should be the core of your Business. You need insight into your business data and that starts with the people you’re doing business with. Salesforce makes it easy for you to build a database of your leads and Accounts. With tools to improve workflow efficiency and follow up automation, users can stay on track of their accounts while being provided with a simple user interface. Salesforce provides their users with easy deal tracking and pipeline customization ability. 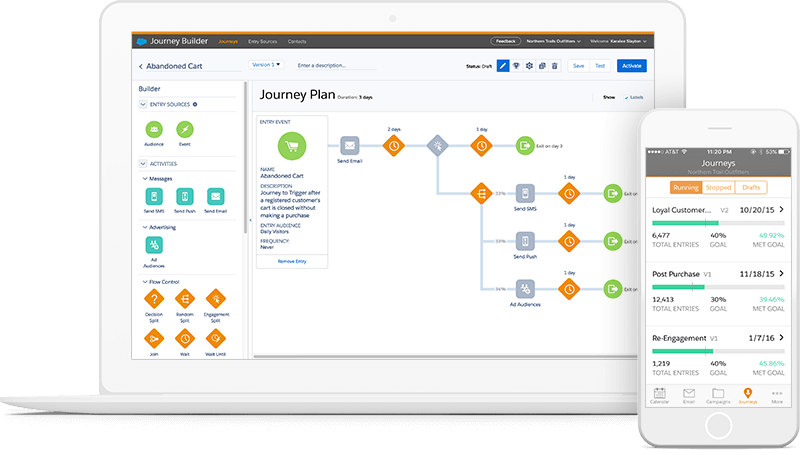 Salesforce provides the ability to create stages and build automated workflows from those stages. 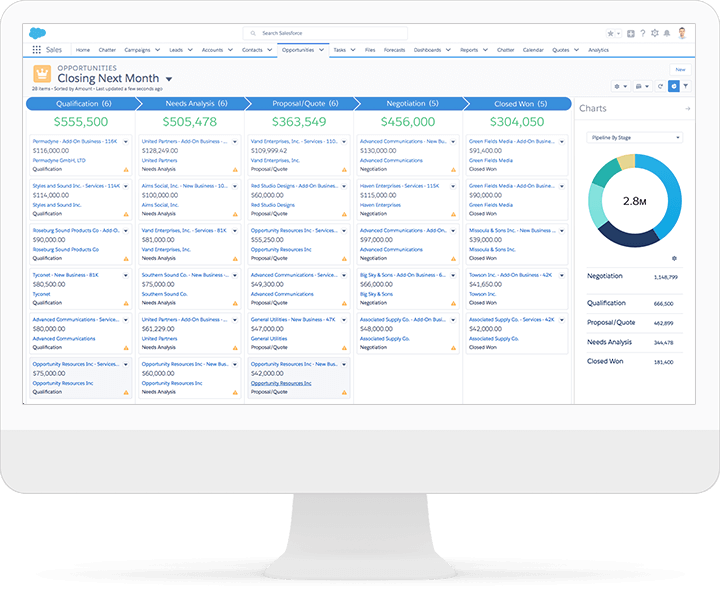 Salesforce also provides you the ability create quotes, attach products, and even forecast potential sales based on pipeline. Salesforce has a robust platform for being able to report on your team’s data and metadata. Once you create reports – you are then able to create dashboards with as many charts and reports as you wish. Management will also be able to automatically receive these reports at their need. Automatically subscribe to receive updated information from salesforce when you need it. Salesforce provides a Service Cloud platform that meets the needs for all service-based companies. Service cloud has the ability for your support team to keep track of open tickets, receive cases via web, escalation support, and much more. 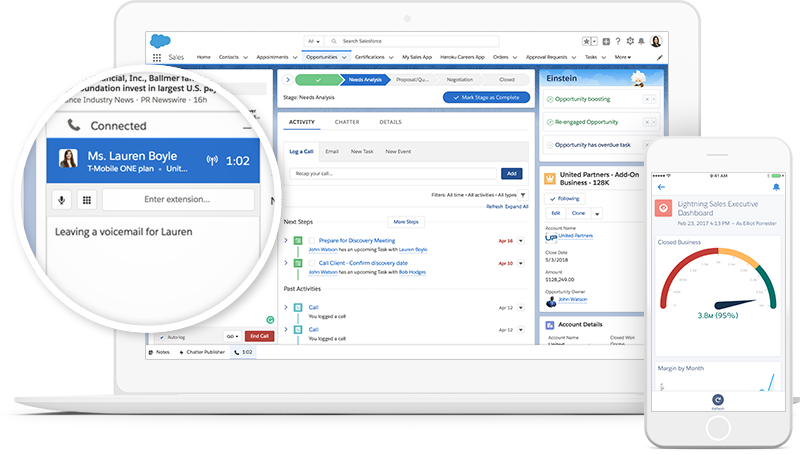 Salesforce has products like Marketing Cloud and Pardot that make sure your marketing team has all the tools they need to be able to successfully market for your business. AppExchange is the ecosystem of Salesforce where you can purchase software that natively integrate with your Salesforce system. Whether it’s phone integration or an ERP system, the AppExchange has the app for your company. Salesforce knows that your business has the need for other systems. The average company uses at minimum 8 different software platforms. Salesforce has an open API and will integrate with other systems allowing your business to keep all business lines connected. ← Want to be a Salesforce Professional? Research Shows You Should!